Unemployment Expected to Stay High: Bernanke said unemployment probably won't reach a near-healthy 6% until 2016. The Fed's target unemployment rate at which it will consider unwinding QE is 6.5%. The rate now stands at 7.9%. "The bottom line is that it is QE3 until the job markets improve substantially," Sal Guatieri, senior economist at BMO Capital Markets, told MarketWatch. But thus far, the Fed's three rounds of QE have had a negligible impact on the economy and unemployment. The longer people remain out of work, the harder it is to re-enter the labor force; and many simply give up. Bernanke Thinks Inflation is Tame: While Bernanke says inflation is in check, worries of it rearing its ugly head are mounting. And until Bernanke admits that inflation is a problem, he'll support QE Forever. Inflationary risks were cited as a reason for re-evaluation of current QE policies. As the Fed continues to purchase securities to keep interest rates down, the risk of inflation grows. Through its fiscal measures, the Fed has flooded the economy with dollars and increased the money supply. Meanwhile, the nation's $16.6 trillion debt continues to grow at an average rate of $3.85 billion a day. While government-reported inflation was tame in January, at 1.8%, prices are likely to rise in the months ahead. The Consumer Price Index, a key measure of inflation, showed prices were unchanged for the second consecutive month in January. However, compared with a year ago, all-item prices rose 1.6%. But hidden from the CPI numbers is the explosive rise in food costs, which grew 0.7%, accounting for more than three-quarters of the increase. And according to the Producer Price Index for January, vegetable prices jumped 39%, the largest rise in nearly a year. A seasonally adjusted decline in gasoline offset the rise, but higher fuel costs are expected to impact numbers in the next read. From mid-January to Feb. 11, gas prices rose for 25 straight days, logging the biggest jump in almost a year. The national gas price average is now $3.77 per gallon, up 11% in the past month. Rock-Bottom Interest Rates: Historically low interest rates have boosted demand, helped lift home prices and made homeowners feel more finically secure, according to Bernanke. "In a lot of dimensions, we have, I think, benefited Main Street and that certainly is our objective," he said. But the low interest rates have allowed only individuals with stellar credit to purchase and refinance homes and cars at very low rates. In the aftermath of the financial crisis, banks have become extremely tight in their lending practices. Near-zero interest rates have hurt savers and those who rely on interest for income as well as banks, which are making little from funds on hand. As a result, banks have gone fee-happy. Without providing an estimated timeline on when the Fed would start to wind down its bond-buying program, Bernanke said the Fed would give plenty of forewarning about any such plans. Until then, investors should take advantage of the dip in gold and silver as a hedge against inflation and as a store of value. Pure plays include the SPDR Gold Trust (NYSE: GLD) and iShares Silver Trust (NYSE: SLV). 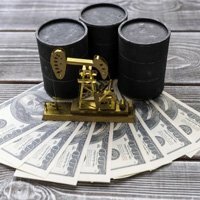 Oil is another option as it looks like we're headed for a jump in oil prices. The United States Oil Fund (NYSE: USO) and PowerShares DB Oil Fund (NYSE: DBO) are two oil bets. Emerging markets also look attractive amid inflation. A weak U.S. dollar implies greater returns can be found abroad. Consider iShares MSCI Emerging Markets (NYSE: EEM) and Vanguard MSCI Emerging Markets (NYSE: VMO).